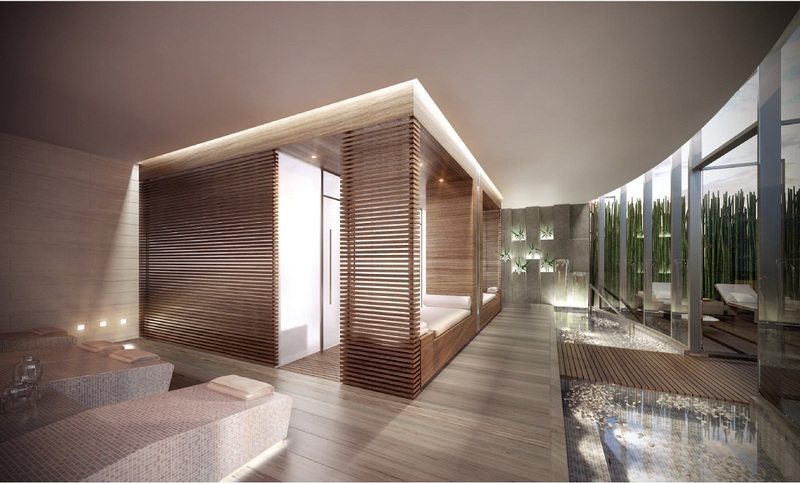 parcel in Sunny Isles, Regalia is set in more than one acre of oceanfront property in a broad enclave adjoining the villas of upscale Golden Beach. 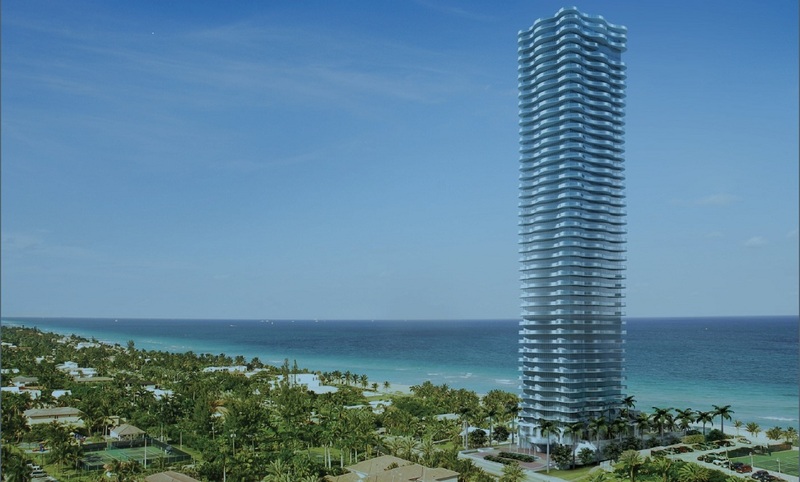 The Regalia tower rises slender and sculptural, its geometry creating classical, serene and elegant Zen-like spaces. 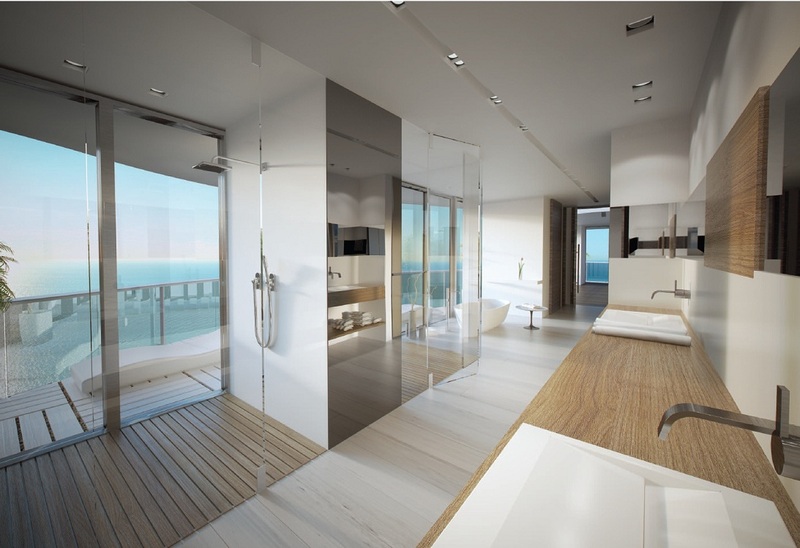 Spacious residences with more than 7,600 square feet of livable space, 5,515 interior square feet, 2,100 exterior square feet, feature floor-to-ceiling glass walls framing the dramatic ocean and 360 degrees of unobstructed views. Living spaces are flooded with light and air from sunrise to sunset. Sumptuous master baths, feature soaking tubs and designer fixtures. Attention to detail creates a sophisticated and uncompromising world for those who expect the best. 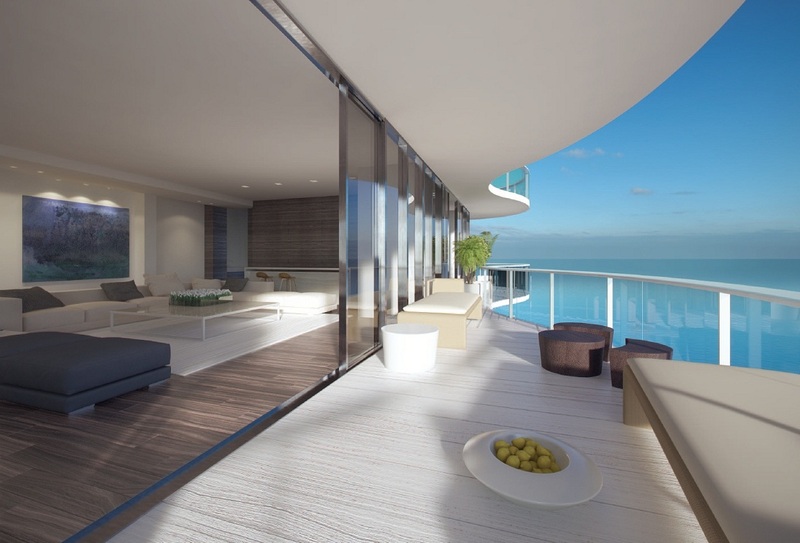 • Only one residence per floor with over 5,515 sq ft.
• Wrap around terraces with over 2,100 sq ft.